There is something magical about adventure running, heading out without much regard for time or pace and just exploring and having fun. At Dartmouth, Coach Ruff Patterson was a huge proponent of adventure runs for training, and for four years, my Sunday mornings were spent exploring the woods of New England along the Appalachian trail. On these runs, we’d sometimes move at an easy trot, and sometimes we’d push the pace for hours on end. By graduation, I had run most of the length of the Appalachian Trail through Vermont and New Hampshire, several times over. At APU, Erik Flora is also a big believer in adventure runs. The excitement of exploring someplace new fuels the legs to run faster and farther than you ever could sustain on your neighborhood trails. Adventure running is good for the legs as well as for the mind, a refreshing breather from highly structured day-to-day training. This past week, I did one of the coolest adventure runs I’ve ever done. I’ve done more training this summer than ever before, so to make sure I’m recovered before fall training kicks up I planned a week-long break from structured training this past week. The timing worked out perfectly for a family vacation, and together with my parents and sister, we traveled to Hawaii to spend a week on Maui. This week has been mostly about recovery, but I also wanted to make sure to be active every day. 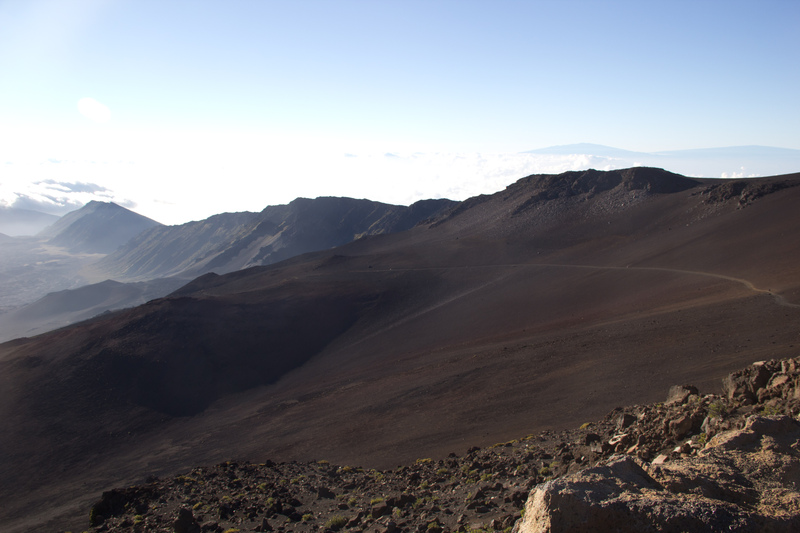 In the process, I did an incredible adventure run on Haleakala, Maui’s 10,029 ft volcano. I left the house at 5:00 am to get an early start on the drive, in hopes of beating the heat and glimpsing the sunrise from up on the volcano. The drive from the town of Kihei where I was staying to the top takes just over an hour. The early wake-up was well worth it and the sunrise was incredible. 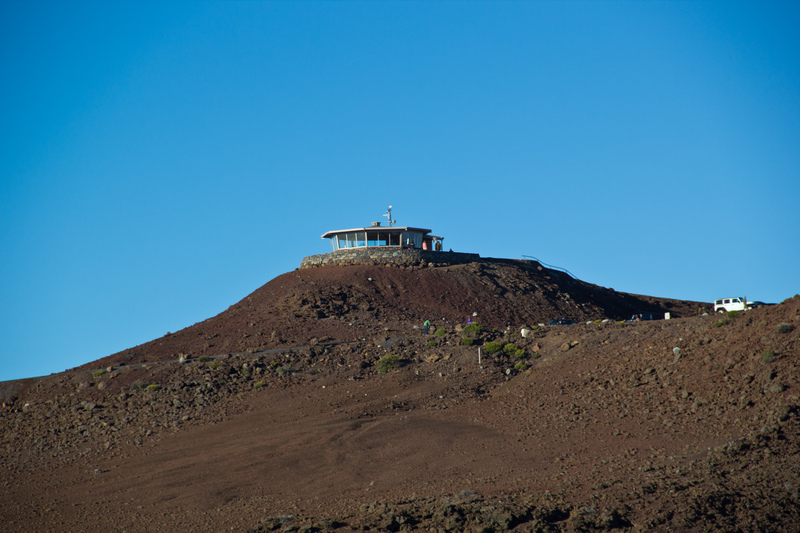 The summit of Halekala (10,023 ft) has an observation platform that sits atop a heap of lava. The temperature was in the low 40’s F at the top. 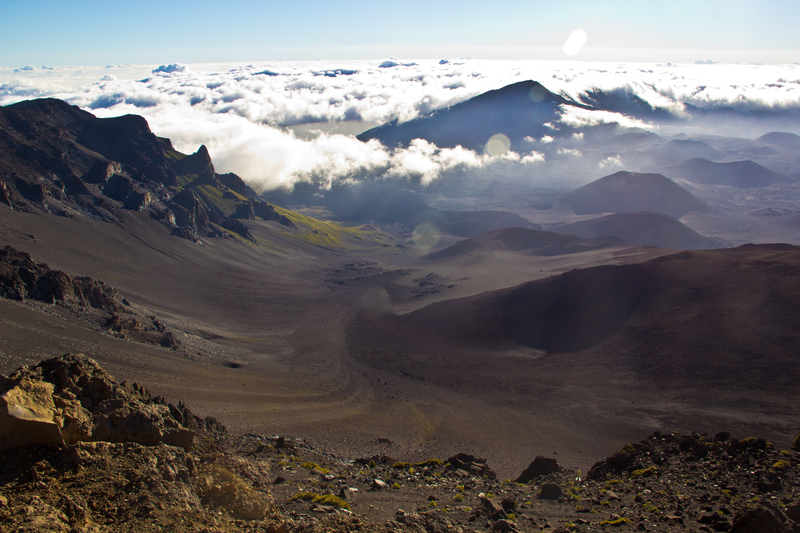 Looking into the crater from the visitor center near the top of Haleakala. You can see numerous small cinder cones inside the crater. I planned a point-to-point route for the run. We left a car at the lower trailhead and carpooled to the top. 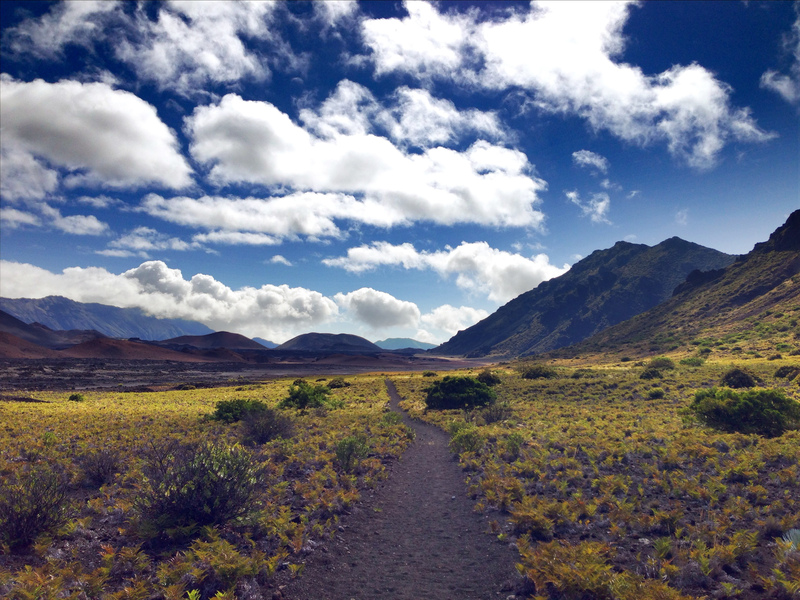 The trail started near the top of the volcano at the Haleakala visitor center, then descended 3000 feet down the “Sliding Sands” trail into the crater. 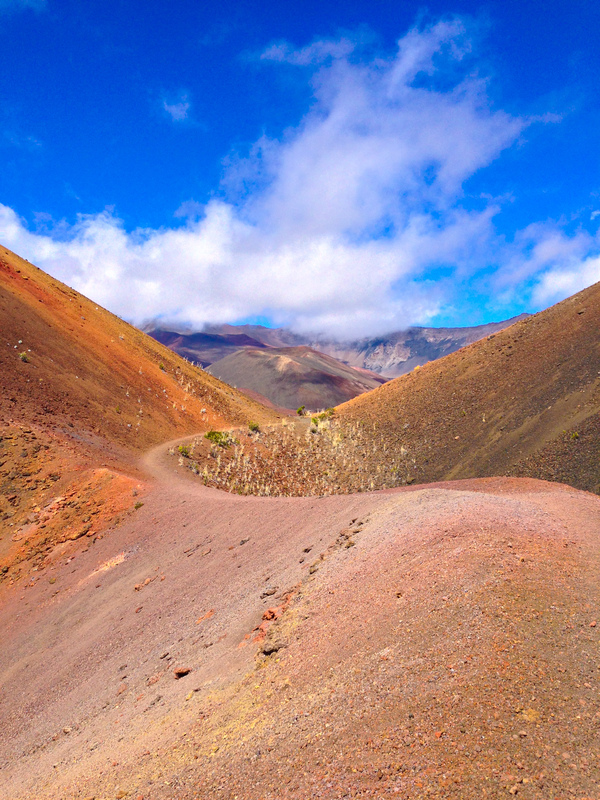 From there, I planned to follow the valley floor to the Kapalaoa Cabin, cut across the valley, and head back up valley along some impressive cinder cones. Then I planned to run to the Holua cabin and up the Switchback trail to the Halemau’u trailhead. I’d guess this route was around 14-15 miles. 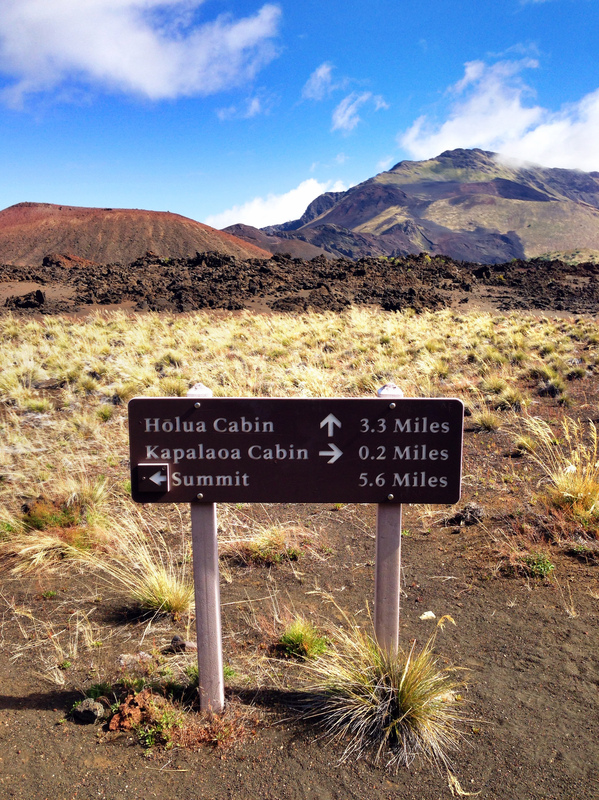 The route I planned started at the Haleakala Visitor Center and was about 15 miles, point to point, ending at the Halemau”You are here” tag. At the top, I filled up water, got a thick layer of sunscreen, and packed some trail food. It was time to start the adventure! The descent into the valley was easy going and went by quickly. The start of the run, following the “Sliding Sands” trail down into the crater. You can see the trail cutting across the mountain in the right side of the picture. Four miles into the run after descending some 3000 feet. 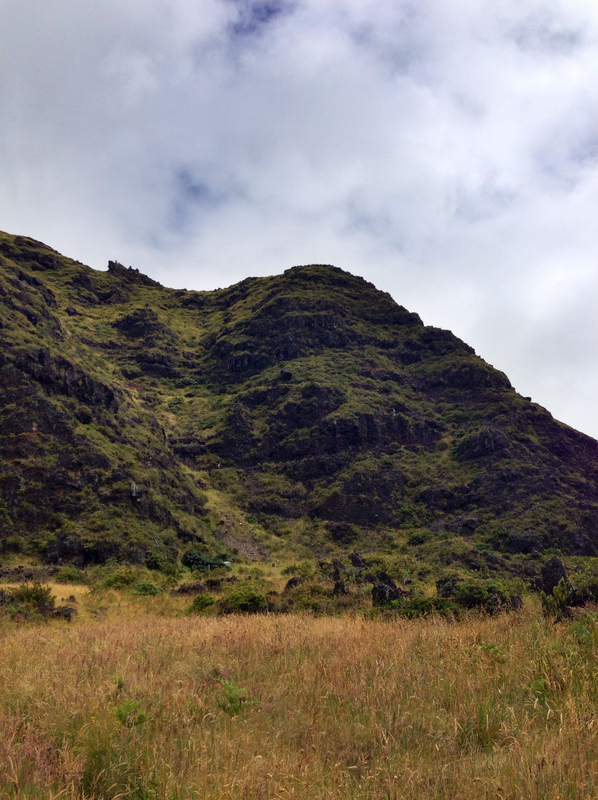 This picture is taken from the bottom of the crater, looking back up at the volcano summit where I started. Five miles into the run, looking forward into the valley. The trail got greener the further you descended. Everything was well marked with signs at all major intersections. At the Kapalaoa cabin, I debated taking the trail all the way down the valley to the Paliku cabin. This would have added around 7 miles to the route. 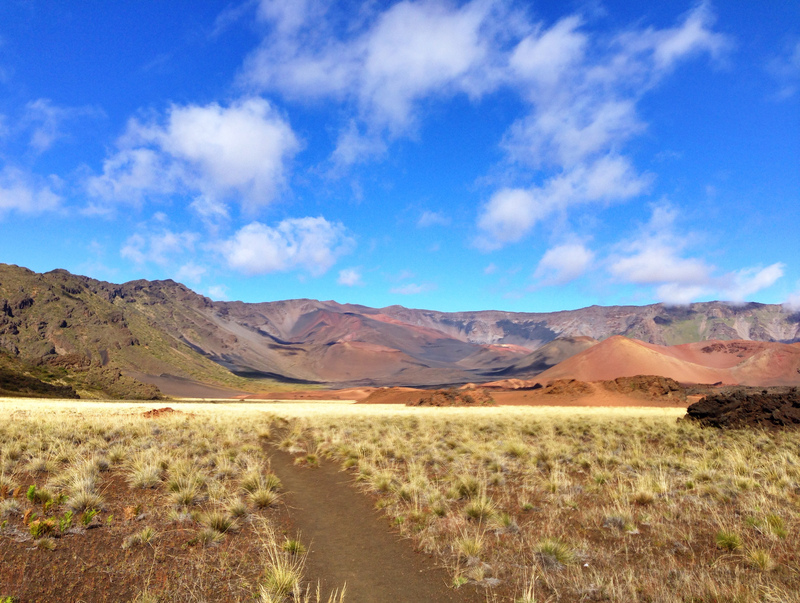 In the end I decided to stick with my original route and take the trail from the Kapaloa cabin across the valley and along the cinder cones. I followed a small trail to the top of one of the cinder cones to check it out. The top of one of the cinder cones, evidence of recent volcanic activity in the valley. After the climbing back down to the trail, the trail got really cool. It was like the sand had been painted. The trail at this point got really colorful, about 9 miles into the run. This part looked like the sand was painted. This was probably my favorite view from the whole loop. From the painted sands in the photo above I followed the valley down and to the right. 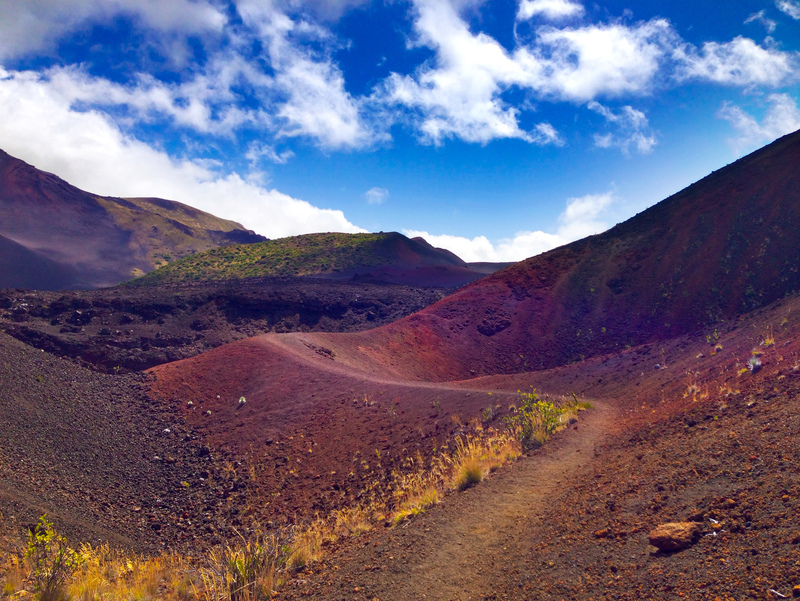 The trail went through a big lava field. I was tight on time, so I didn’t take any pictures for the next few miles. Finally, I got to the base of the Switchback trail, climbing up a sheer cliff out of the valley. The start of the “Switchbacks” a trail ascending this cliff face. If you look closely, you can see the trail cutting back and forth along the rock. 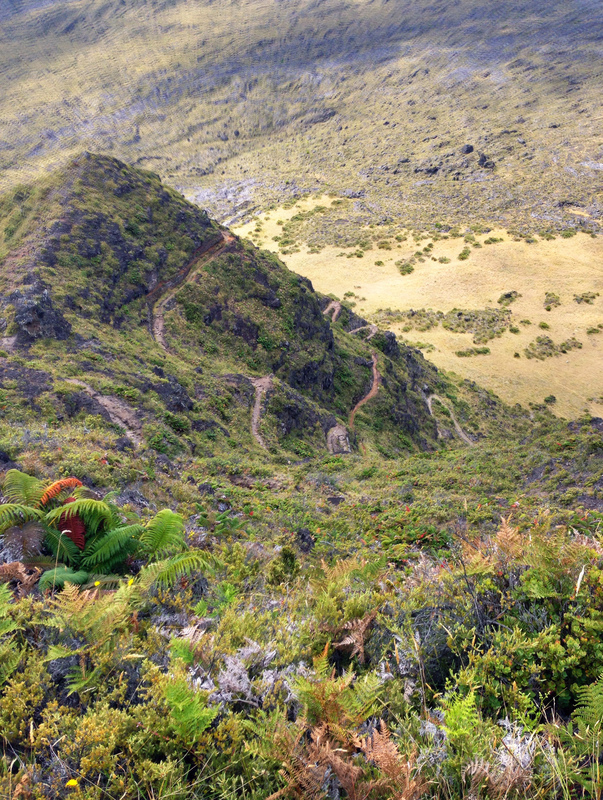 This is how I imagine the Inca trail in Peru – tight singletrack hugging a steep cliff. You can see the trail at the left side of the image following the cliff face. Looking back down on the switchbacks. From the top of the switchback it was about a mile run to the Halemau’u trailhead. The entire run took me 3:00, including a few stops to snap some pictures with my phone, and the elevation varied from 6500 to 10,000 ft. Some fog had rolled in at the Halemau’u trailhead, so I didn’t end up taking any pictures at the finish. Overall, the route is one of the most scenic and diverse I’ve ever done in a single run. 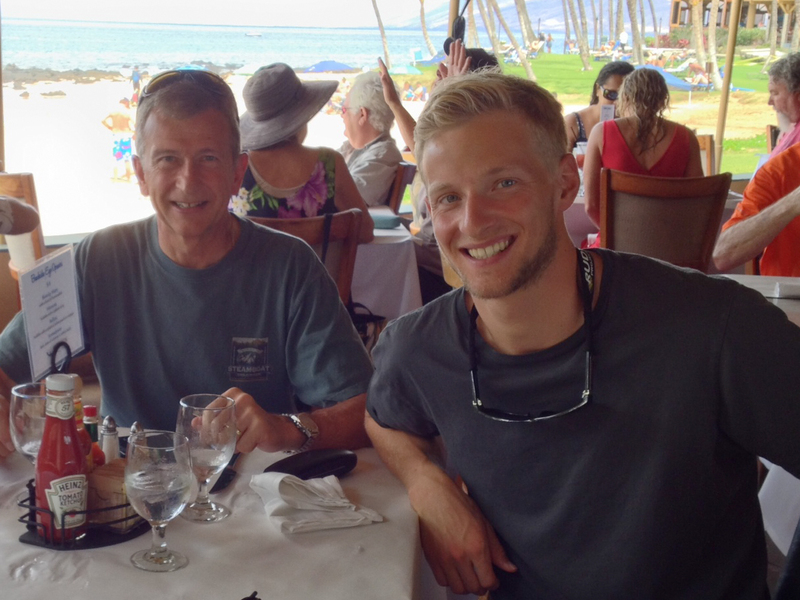 As a bonus, I got to jump into the ocean to cool off for a recovery swim, and then eat some good food with my family! I’m back in Alaska now ready to start fall training. 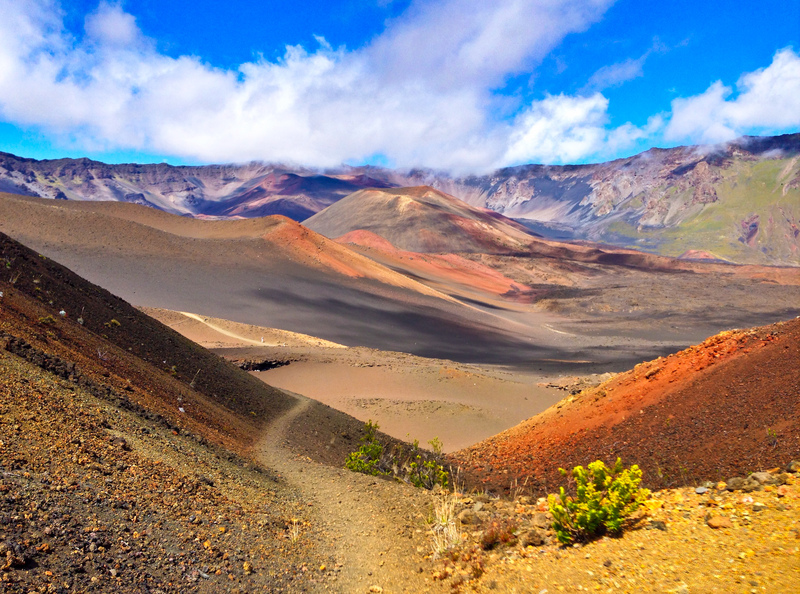 This entry was posted in Blog and tagged Haleakala, Hawaii, Maui, running, Sliding Sands. Bookmark the permalink. ← New Team, New Blog, and Glacier Pictures! This is so cool. I am hoping to do my first marathon this year. Might try this adventure running out. 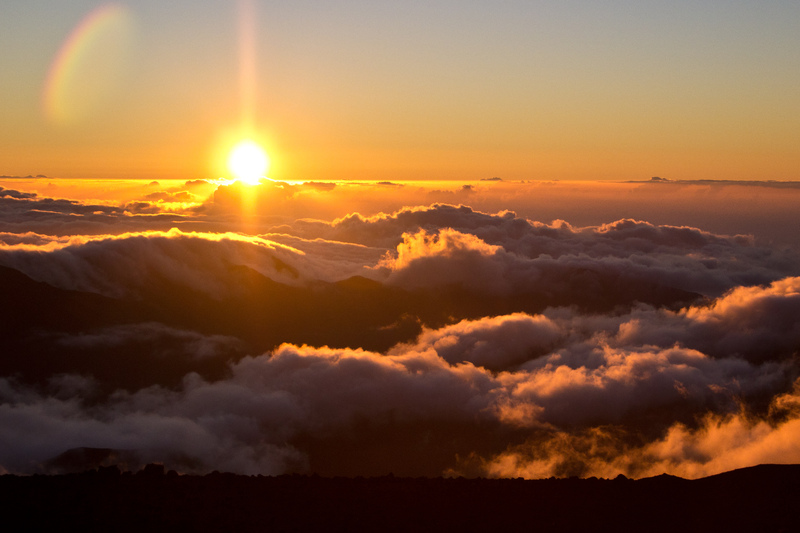 I live on Oahu now, I really loved the pictures of Maui they are beautiful! Hey, thanks for the amazing details. Can you tell me what were the best points inside the crater and also where did you get food afterwards 🙂 ??? I really enjoyed the stretch from Kapalaoa Cabin to Holua – that is where you can encounter the colorful sands. 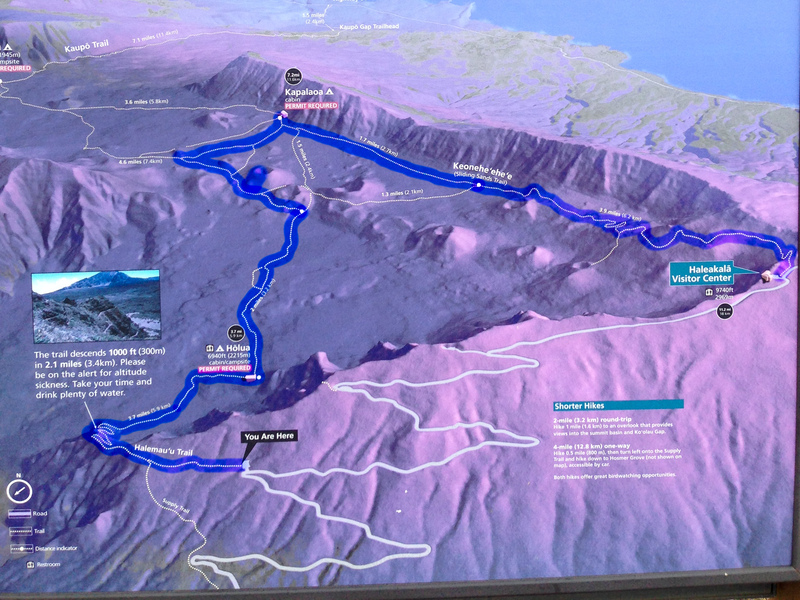 You can see the route I took highlighted on the map. I also really like the switchbacks climbing up on the Halemau’u trail. Make sure to bring you own food and water – there isn’t anything available along the way!